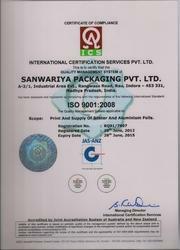 Established in the year 2010, we, "Sanwariya Packaging Private Limited" is a leading provider of Packaging Solutions with core competency in aluminium packaging-for the Indian pharmaceutical, FMCG and Export industry. We are poised to redefine the packaging canvas by expanding horizons and exceeding expectations. We offers Paper Poly Foil, Glossine Foil, Laminated Foil, Printed Blister Pack, Cold Form Foil and many more. We dreamed to establish ourselves as a leading supplier of primary packaging materials. Today, we have a long-standing relationship of trust and comfort with key Indian and MNC Pharma companies. 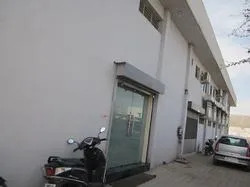 "Sanwariya Packaging Private Limited" is the first Indian Company to follow the CGMP norm (current Good Manufacturing Practice) which is recognized worldwide for the control and management of manufacturing and quality control testing of pharmaceutical products. 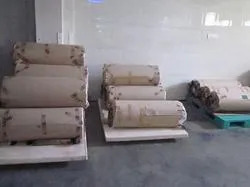 We export our products to East Europe, East Asia, South East Asia, Indian Subcontinent, South/West Africa, East/Middle Africa, Caribbean and North Africa. We are led by our team of mentors "Mr. Vishnu Sharma", "Mr. Jay Wadhwani", "Mr. Rajendra Sahu" & "Mr. Mukul Wadhwani", who are one of the most reputed names in this line of work. The Director of “Sanwariya Packaging Private Limited”, a young and energetic entrepreneur, Mr. Jay Wadhwani, was born on 13th November, 1980 at Indore, in Madhya Pradesh, in a Sindhi family. He completed his early education in a public school in 1997 and throughout his career, he has been a Ranker student. He further wished to pursue higher academics and hence appeared in the entrance examination for Engineering. He prepared for PET in 1998 and unfortunately could not succeed. 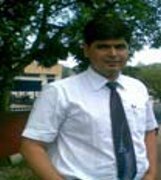 He did not lose hope and joined Gujarati Science College, Indore and completed B.SC (Math’s) parallel joined his father business of printing and packaging and done Computer Graphic Designing, He joined father business at the age of 17 and after completion of Computer Graphic Designing course he joined New Venture as a Operational head in 2001. We offer a range of Packaging Products that are manufactured from aluminium of best quality. All manufacturing operations are carried out in the most streamlined manner by the production team and each unit is tested stringently to make sure that the products we offer are best-in-class. Our product line has garnered appreciation from all quarters of this line of work. We are supported by a team of professionals who hold unparalleled expertise in all aspects of this line of work. 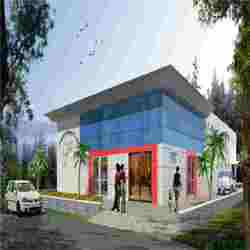 They are considered the best in this field and have vast industry experience. They continually work towards providing the clients with the best services in all instances and aim to maintain our impeccable customer satisfaction record. We have set up a state-of-the-art production unit, where the engineers and technicians carry out all manufacturing and finishing operations. The plant established by us has the annual production capacity of 400 metric tons of foil, with thicknesses ranging from 0.2-0.4 mm. Spread over an area of 20000 sq. 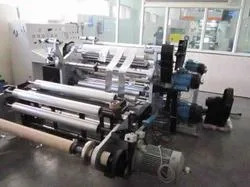 ft., this unit has 2 and 6 color imported Rotogravure printing machines that have installed capacity of 30 tons per month. We make use of aluminium foils and blister foils while developing the products as per the standards set by Aluminium Association, USA.